Indications: #Knee instability due to anterior and/or posterior cruciate ligament (ACL/PCL) deficient. To restrict the range of motion after reconstructive surgery. Recommended for low to medium impact sports. 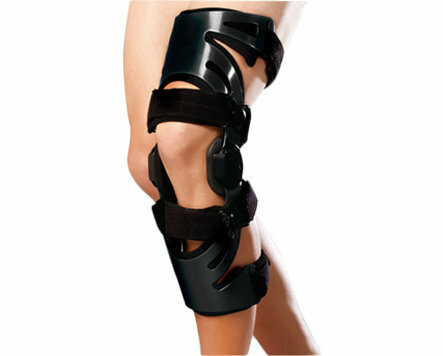 Functions: #Polycentric hinge design to fit actual movement of human knee. Prevent hyperextension via adjustable hinge ROM. 4-Leverage design for optimal stabilization.